Valentine's Day is coming soon, why not take advantage of this opportunity to give an object of high quality but at the same time useful in everyday life and in line with today's trend to your beloved? Definitely more original than traditional roses and chocolates, the choice to give something personal like a genuine leather bag enriched with calf hair parts will make the difference for this Valentine's Day 2019. For some, this gift may seem risky due to the fear that she can dont appreciate it, but without risking a little, be sure that you will never find anything that amaze her. If you need some suggestions, read our article, I will explain why to give for Valentine an Original Tuscany genuine leather bag with the addition of precious calf hair and I will help you to make the right choice! Our bags are entirely handmade, worked by the best craftsmen who live in the famous leather district, in the heart of Tuscany. It may seem a classic craftsmanship but the combination of genuine calfskin and pony requires special attention in all its phases. In addition to this careful processing our bags are characterized by the high quality of raw materials that are processed in Tuscany, where Original Tuscany has its headquarters. It is also known that genuine leather, if first-rate, is a material resistant to tearing, abrasion, heat, moisture and that the more it ages the more it takes on value; while on the hair calf there is perhaps more confusion. In fact, for calf hair we refer to the cow, and especially to the fur of this animal; in essence, the reference to the horse derives exclusively from the final appearance of the skin. Contrary to what can be imagined, the calf hair is equally resistant, waterproof and does not need too much attention to keep it in excellent condition. A genuine leather bag guarantees a unique identity to the product you will choose because no bag will ever be the same as the others. Each bag has its own cut of different leather from the other, each fold, natural grain will give the calf skin that extra value; while the calf hair undoubtedly guarantees a good dose of charm and elegance thanks to the fantasies that will never be the same as the others. Our bags are unique because, in addition to the quality they bring with them, they are carefully selected to make our customers unique. Your beloved will certainly not ignore this, making it feel unique is the best gift you can do! If she’s attentive to detail, follow fashion and is always on the move and when it comes out wants to feel trendy and elegant but without using a cumbersome bag, Celine is absolutely for her. If your girlfriend is a working-girl, who needs something spacious to contain her whole world, but at the same time wants to be fashionable and feel right on every occasion, Olimpia is absolutely right for her. If she is dynamic, sporty, she needs to have no obstacles in her daily life, whether it is to manage the children, or for the thousand activities that concern her, she will probably be looking for a backpack. Why not give her Marta which, besides being spacious, will make her fashionable and give her that touch of fashion thanks to the calf hair? 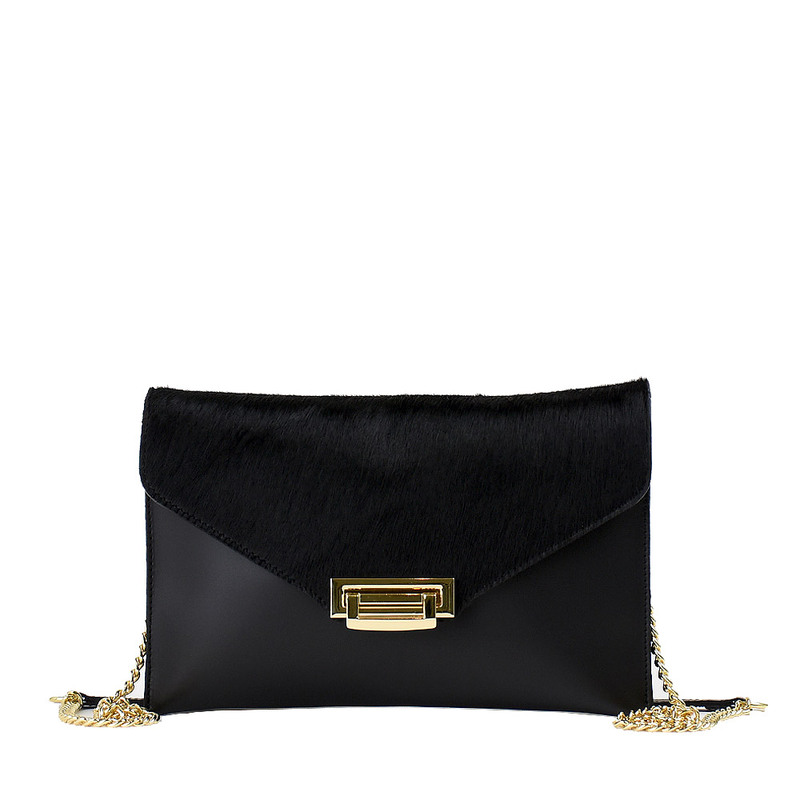 If she is an outgoing woman, she loves being among the people, going out to dinner, she definitely needs a clutch bag to bring with her the minimum essential but at the same time be fashionable. 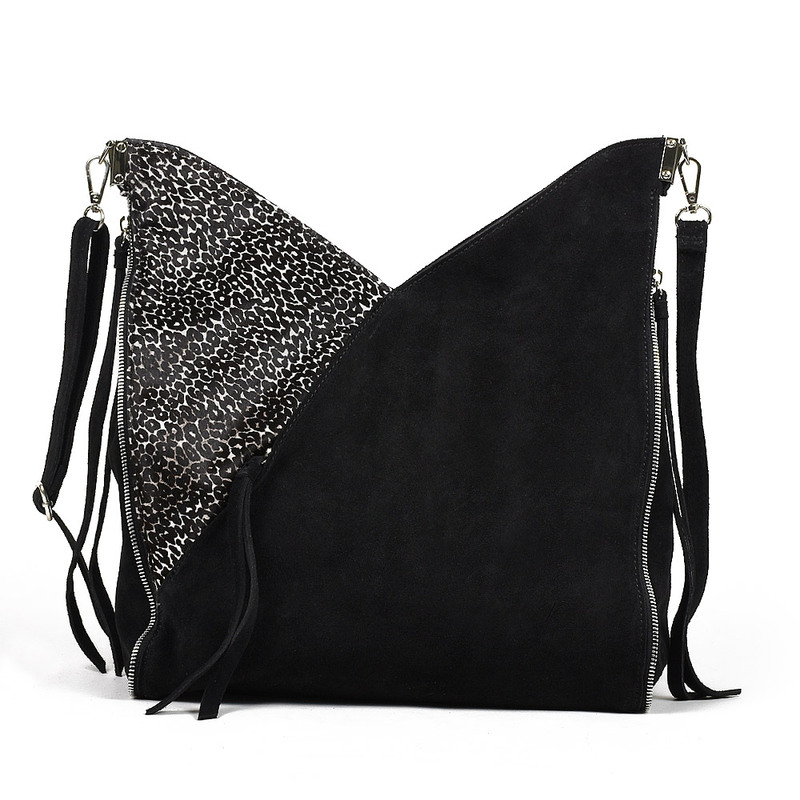 Luna is the perfect bag for her thanks to the elegance of the black claf hair she will never go unnoticed and will be envied by all her friends. 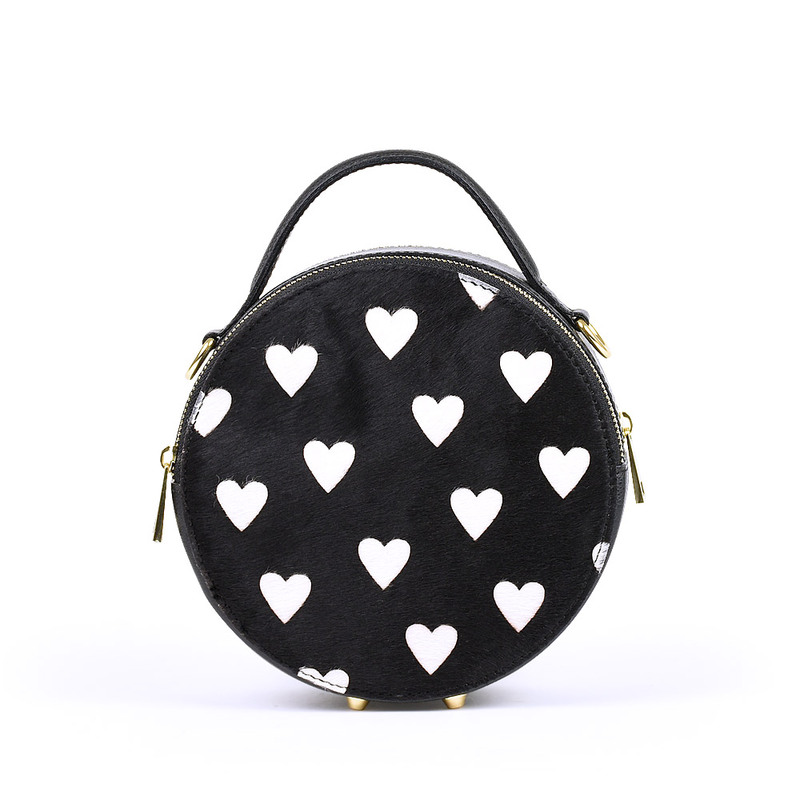 If instead she is a woman who does not like to appear but tries to distinguish herself from the crowd without exaggerating, look for a beautiful but functional bag, soft and large, Letizia is definitely what she need. 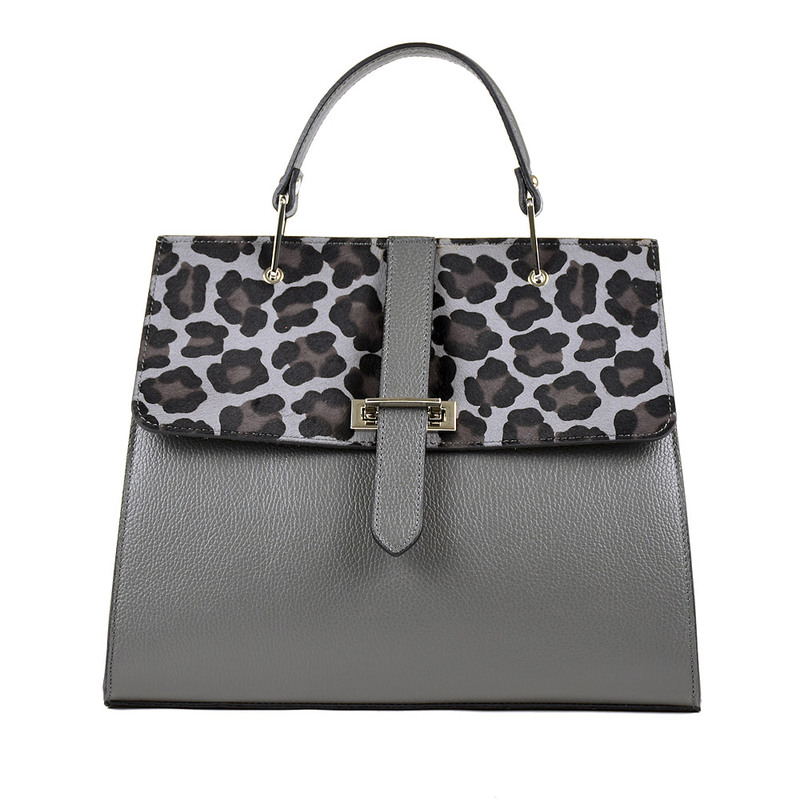 If you're still not convinced, remember that you can safely change it ... not your girlfriend but the bag chosen; or you can take a look at the other animalier bags or contact us we will try to help you in your choice.